We’re in the midst of preparing for a birthday celebration. It’s not my birthday, or Ric’s birthday. In fact we’ve never even met this person and probably never will. But we’re going to create a feast and celebrate her birthday all the same. Her name is Misao Okawa, and she lives in Osaka, Japan. 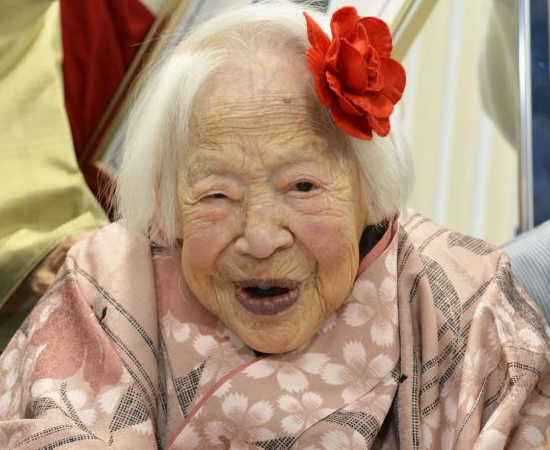 On Thursday she’ll turn 117 years old — making her the oldest living person in the world. To put her age into perspective, when she was born in March 1898, Queen Victoria was on the throne in England, the construction of the Eiffel tower had only recently been completed, and the Wright bothers were still years away from inventing powered heavier-than-air flight. The fact that she’s alive, healthy, and still very much enjoying life is pretty remarkable to say the least. What’s her longevity secret? According to Ms. Okawa the key to a long life is to eat well, stay active, and learn to relax. What great advice! 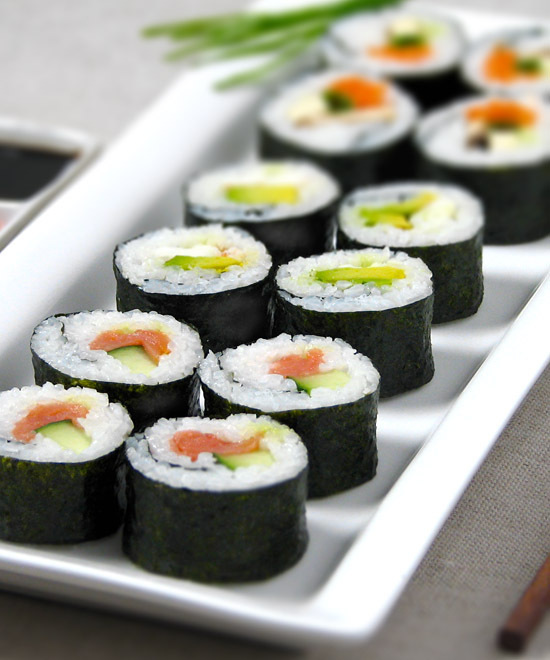 Ms. Okawa’s favorite meal is sushi, which also happens to be one of our favorite meals too, so our birthday feast will include a variety of homemade Sushi rolls. 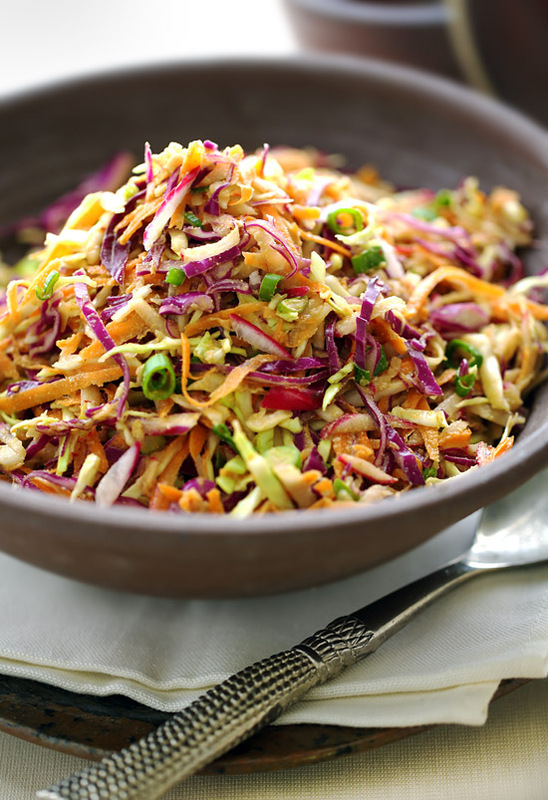 We’ll also be cooking up some Miso-glazed salmon and accompanying it with Soba noodle salad as well as this Japanese-style slaw with sesame dressing, which we made today in advance. And we’ll be washing it all down with a glass or two of sake — after we’ve toasted happy birthday to Misao, of course! HEAT a frying pan over a medium-low heat. COOK the sesame seeds until lightly toasted, stirring constantly. SET aside to cool for 5 minutes. POUND the sesame seeds in a mortar and pestle or process in a spice/coffee grinder until finely ground. 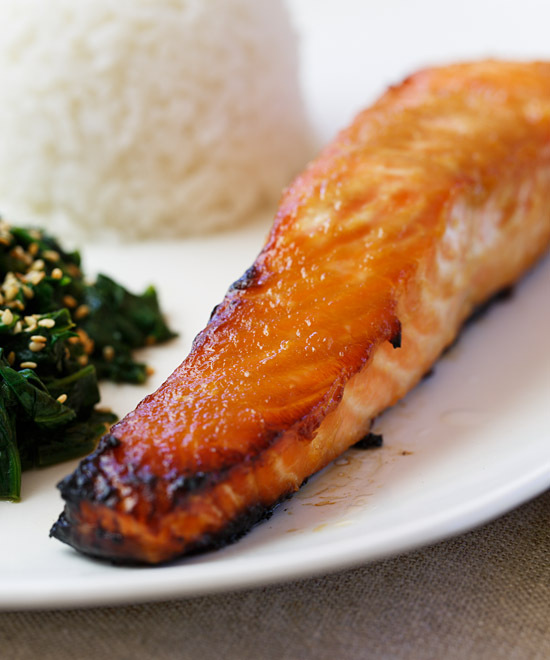 PLACE in a bowl and stir in the soy sauce, sugar, rice vinegar and water until well combined. 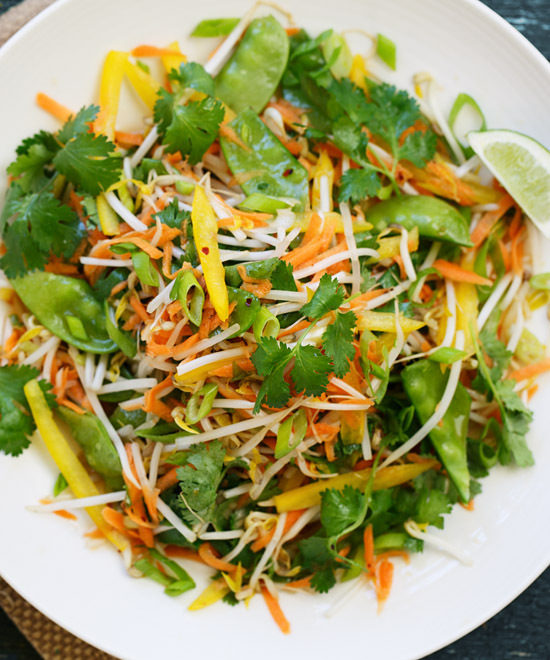 PLACE the green and red cabbage, carrot, radish and scallions in a large bowl and mix well. ADD the sesame dressing and toss thoroughly to combine.